Fun fact about my husband Andy Pratt: he's a maniac for beautiful children's books. He's been known to confiscate them from our toddler son, with the (correct) assumption that the books might otherwise become compromised (pen drawings of trains in the margins come to mind). So when Andy came across news that Oliver Jeffers, one of his favorite illustrators, had teamed up with jewelry designer Aaron Ruff for an art exhibit, we packed up the kids and off we went. Time Out New York Kids assured us that the show--titled The Exploded Mind of Mulholland Hwang--was good for little ones. Not sure I'd agree there, at least not for those under six. But it's most definitely worth checking out for anyone older than that. 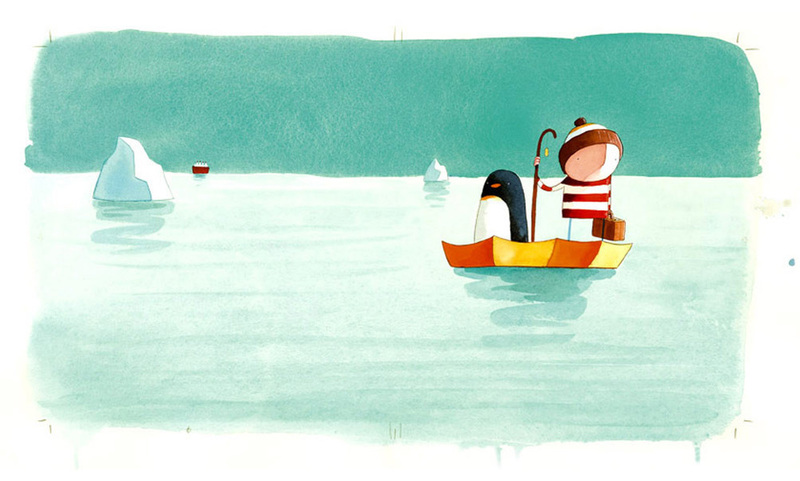 Jeffer's children's books showcase a beautiful economy of word and visuals. Their humor is wry, but they have a real sweetness to them too. I found the work in this exhibit to be much the same, but with an extra kick of more adult humor. The exhibit--which showcases the goings-on in the mind of a fictional 12 year old boy--takes over the entirety of the front room of Brooklyn's Invisible Dog Gallery. It's comprised of tiny detailed models, "biological" drawings large and small, and a full scale replica of a cabin-like room where Mulholland presumably spends his time. Maybe it's because we watched Moonrise Kingdom recently, but the show’s aesthetic reminded me greatly of a good Wes Anderson flick. It has a real old-fashioned zoological bent too, which further places it in that world. I’d absolutely love to use one of the larger pieces in a residential project. They’d work in a kid’s room, sure, but I like them even better in a dining room or library for someone with a rather sly sense of humor. The show runs through May 18, 2013, and is definitely worth a visit.